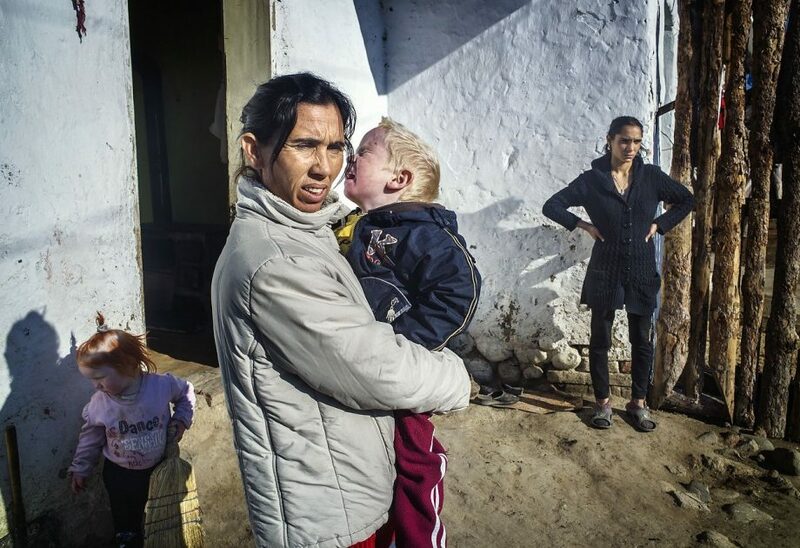 DNA tests confirmed that the Bulgarian Roma couple Sasha and Atanas Rusev are the biological parents of Maria, the blonde girl found in a Greek Roma camp in October 2013. Late October, the Greek police, searching a Roma family’s home during an unrelated criminal investigation, came across a pale, tow-headed little girl among the family’s gaggle of dark-haired, dark-skinned children. Immediately, they swept the girl up into protective custody. DNA tests confirmed that the child was not biologically related to her Roma family, but the parents claim they adopted (or, were given) her legally. Authorities, concerned that the girl had been kidnapped and trafficked, have launched an international campaign to reunite the “blonde angel” with her birth family. The Roma parents have been arrested for abducting a minor. The Roma mother of ‘blonde angel’ Maria – the little girl who sparked an international investigation after she was found living with a Roma gipsy couple in Greece – stands little chance of ever being reunited with her daughter. 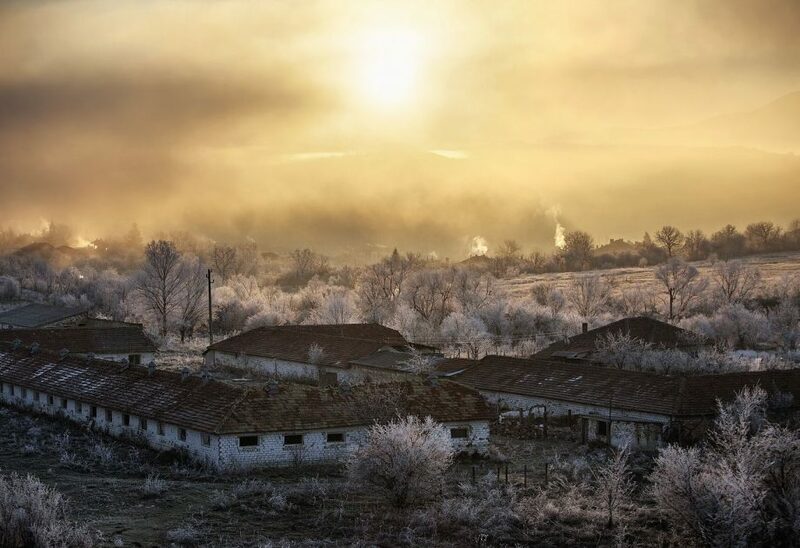 Bulgarian village near Veliko Tarnovo on my way to visit a Roma district of the central Bulgarian town of Nikolaevo on December 20, 2013. DNA tests confirmed that the Bulgarian Roma couple Sasha Ruseva and Atanas Rusev are the biological parents of Maria, the blonde girl found in a Greek Roma camp in October 2013. Late October, the Greek police, searching a Roma family’s home during an unrelated criminal investigation, came across a pale, tow-headed little girl among the family’s gaggle of dark-haired, dark-skinned children. Immediately, they swept the girl up into protective custody. DNA tests confirmed that the child was not biologically related to her Roma family, but the parents claim they adopted (or, were given) her legally. Authorities, concerned that the girl had been kidnapped and trafficked, have launched an international campaign to reunite the “blonde angel” with her birth family. The Roma parents have been arrested for abducting a minor. The Roma mother of “blonde angel” Maria, the little girl who sparked an international investigation after she was found living with a Roma gipsy couple in Greece, stands little chance of ever being reunited with her daughter. Sasha Ruseva (M) holding her nephew and her daughter (R) as seen in a Roma district of the central Bulgarian town of Nikolaevo on December 20, 2013. DNA tests confirmed that the Bulgarian Roma couple Sasha Ruseva and Atanas Rusev are the biological parents of Maria, the blonde girl found in a Greek Roma camp in October 2013. Late October, the Greek police, searching a Roma family’s home during an unrelated criminal investigation, came across a pale, tow-headed little girl among the family’s gaggle of dark-haired, dark-skinned children. Immediately, they swept the girl up into protective custody. DNA tests confirmed that the child was not biologically related to her Roma family, but the parents claim they adopted (or, were given) her legally. Authorities, concerned that the girl had been kidnapped and trafficked, have launched an international campaign to reunite the “blonde angel” with her birth family. The Roma parents have been arrested for abducting a minor. The Roma mother of “blonde angel” Maria, the little girl who sparked an international investigation after she was found living with a Roma gipsy couple in Greece, stands little chance of ever being reunited with her daughter. 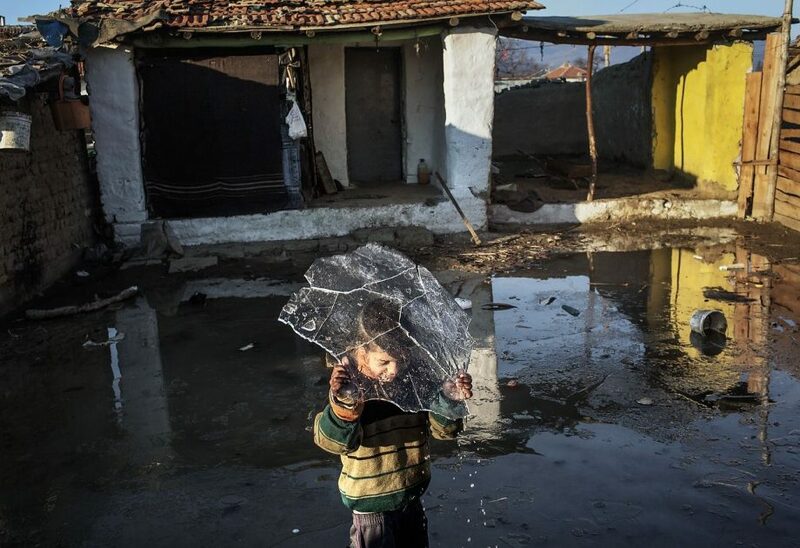 Roma kid of turkish origins breaking a piece of ice on his head, as seen in a Roma district of the central Bulgarian town of Nikolaevo on December 20, 2013. DNA tests confirmed that the Bulgarian Roma couple Sasha Ruseva and Atanas Rusev are the biological parents of Maria, the blonde girl found in a Greek Roma camp in October 2013. Late October, the Greek police, searching a Roma family’s home during an unrelated criminal investigation, came across a pale, tow-headed little girl among the family’s gaggle of dark-haired, dark-skinned children. Immediately, they swept the girl up into protective custody. DNA tests confirmed that the child was not biologically related to her Roma family, but the parents claim they adopted (or, were given) her legally. Authorities, concerned that the girl had been kidnapped and trafficked, have launched an international campaign to reunite the “blonde angel” with her birth family. The Roma parents have been arrested for abducting a minor. The Roma mother of “blonde angel” Maria, the little girl who sparked an international investigation after she was found living with a Roma gipsy couple in Greece, stands little chance of ever being reunited with her daughter. In order to see more, please login. Copyright © 2016 Mugur Varzariu. All rights reserved.